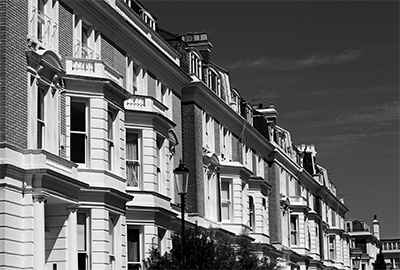 Urbancoms has been successfully delivering tailored telecoms solutions to the Residential Block Management industry for more than five years. At the core of the company is a determination to simplify the entire telecoms process for the Block Management industry, spearhead market transparency with no obligatory long-term con-tracts, and ultimately make life as easy as possible for property managers. Our ethos - and key to organic growth within the Block Management industry - is simple. “We understand the way you work” and do everything in our power to make things as easy as possi-ble for you. Transferring your existing telecoms solutions couldn’t be easier. We handle the entire process and take care of all the paperwork, from new installations, transferring existing services, fault reporting, and billing, so that you can focus on other important things. Our packages are com-petitive and include a range of services from lift lines, front gates, CCTV, plant room controls, concierge front desks, hosted telephony and many more. Here at Urbancoms, we pride ourselves on always delivering a professional and intimate service. As an established specialist in Block Management, we have put in place a number of tailored services to ensure that everything runs smoothly for our clients. What do our clients and partners say about us? Urbancoms specialise in residential block management. Not only does Urbancoms Limited manage the whole of our phone systems in our offices, they also manage the phone systems at those blocks of flats where we have porters phones, lift emergency phones and so forth. We have been working with Urbancoms now for probably something like 10 years. During the whole of that period we have received good service, when there is a fault it is rectified promptly, their technicians have the skills necessary to improve and rectify systems when we need that, and there have always been cost savings when we have transferred a new contract to them. We had enquired about switching a number of telephone lines away from various providers in order to streamline them under one provider. Not only did they offer a very competitive rate, they also handled the whole switch over process efficiently and hassle free, which is exactly what we were looking for. They identified all the phone lines and what they related to, something which we did not have previously, making our administration much more accurate. Since we started using Urbancoms our lives have been so much easier if there are problems with any BT lines. We have started transferring a lot more of our blocks over because of the efficiency. The biggest plus for us is when you call Urbancoms you get an answer straight away and not an automated service that ends up putting you to the wrong department where you end up speaking to someone that doesn’t understand the issue. The first time I used them was because a phone line wasn’t working in a lift and normally we would be spending more time on the phone sorting everything out, I called Urbancoms, explained to a very competent member of staff and within 10 mins it was all dealt with and BT were on site first thing in the morning (never ever happened before). This company has helped so much that we can concentrate on other important things. I also know that some of our blocks have raved to the tenants about Urbancoms and how much cheaper they are which is another bonus. I would definitely recommend them to do business with any of our sites.